I have FINALLY finished working on my 2013 Calendars! 2013 will be the YEAR OF SUNSHINE at Little Things Studio. I’m going to be basking in the sun every single day and so should you! 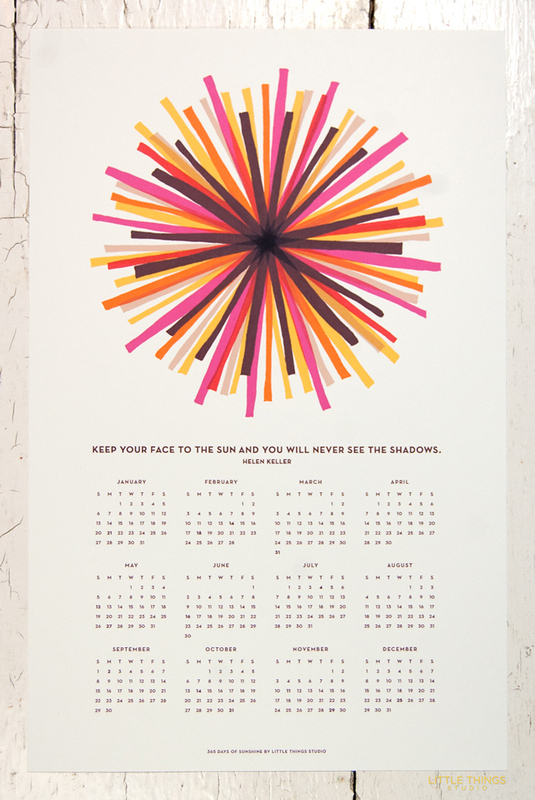 The 12 month calendar is still at the printer! I hope to have it back in my hands at the first of next week! And I promise to put it up in the shop as soon as I get it! 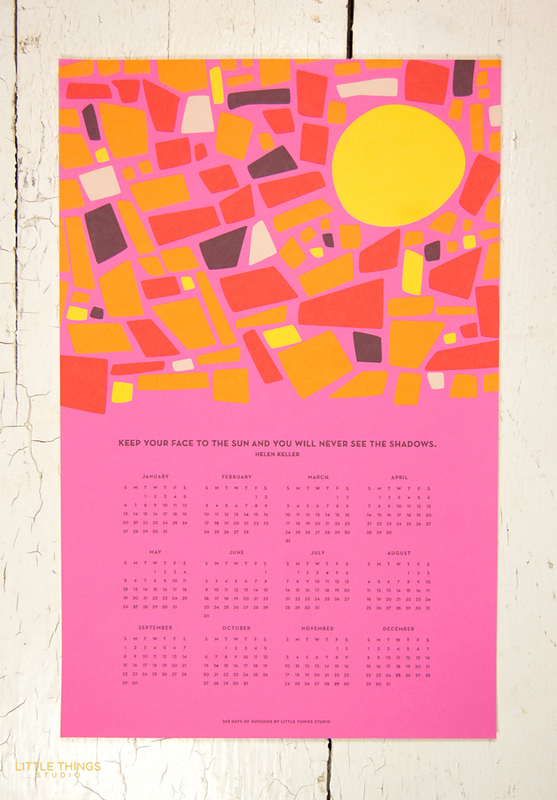 In the meantime, the wall calendars are listed on etsy! AND here is the pink calendar! !